Montessori School of Durham welcomes a diverse, inclusive community and celebrates the uniqueness of all of its members as part of our hope for a peaceful world. Everybody's talking about diversity these days. (If they're not, they should be.) At MSD, we're not just talking about it. We're actively working together toward our goal. We intentionally seek to recruit diverse candidates for job openings (which are rare, since our staff are so happy here! But that's another story), we organize parent education events that focus on talking with our children about race and ethnicity, and our staff continue their professional growth by developing their awareness of implicit bias and promoting anti-bias educational practices. When we describe the diversity that we experience at MSD, we're not just referring to race or ethnicity. Our community is proud of our diverse global influences, family structures, and array of world religions and spiritual ideologies. And yes, we even welcome both Duke and UNC fans. Diversity for us is not about a single number, but a dynamic experience of rich interactions among our students, faculty, staff, and families in the classroom, on the playground, and at organized school events. It's also an aspect of our school that we are committed to nurturing and growing in meaningful ways. 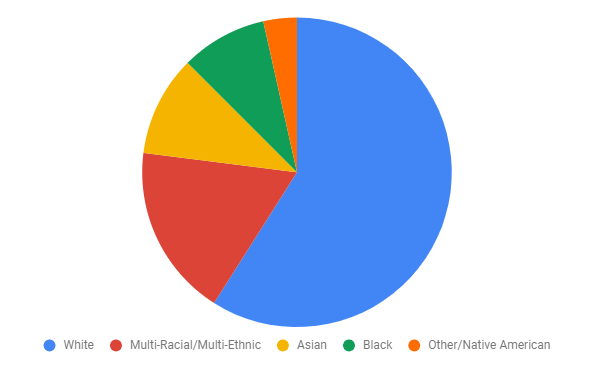 We are also pleased report that the recent hiring season for the 2018-19 school year will increase our faculty and After School staff diversity by 15% taking our total staff diversity to 35%. Also, in the last three years, we have doubled our Financial Aid funds available to families. All are welcomed. All are valued. This page offers a current snapshot of the unique atmosphere within which our students learn about each other, their community, and the world. 82% of our families live in Durham, 10% in Chapel Hill, and 8% in surrounding areas. Montessori School of Durham’s Diversity and Inclusion Committee works with the Head of School each year on various topics related to retention, recruitment, and other business. The committee also organizes Parent Affinity Groups and sponsors educational events to support the community. Contact Julie Barnes or Sarah Kate Fishback, via email with questions or for more information. In February, Montessori School of Durham joined with 8 other Triangle independent schools to host a Job Fair for underrepresented teachers and school professionals. We look forward to hosting another soon! 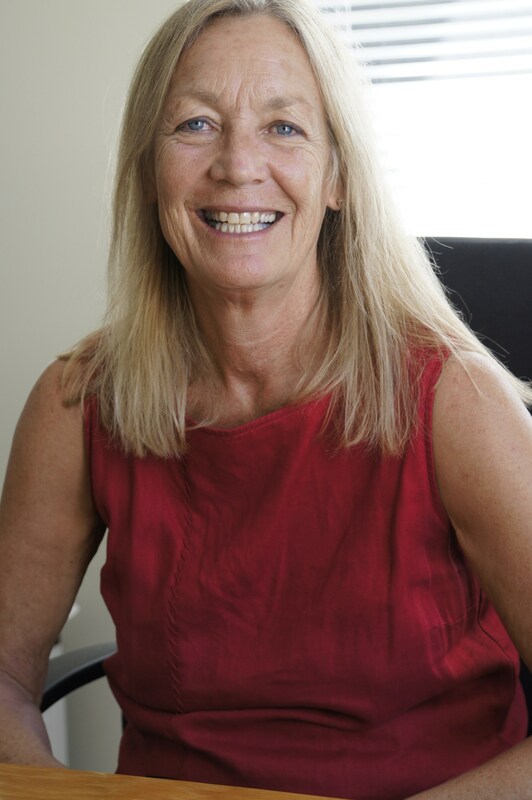 In April 2018, Tammy attended the NCAIS Diversity and Inclusion Conference. The topic this year was "Creating and Nurturing an Inclusive Community." She also participated in the "Growing in Diversity & Reconciliation" 3-week course led by Dr. Terrance Ruth, Dr. J.D. Greear, and Tremayne Manson. 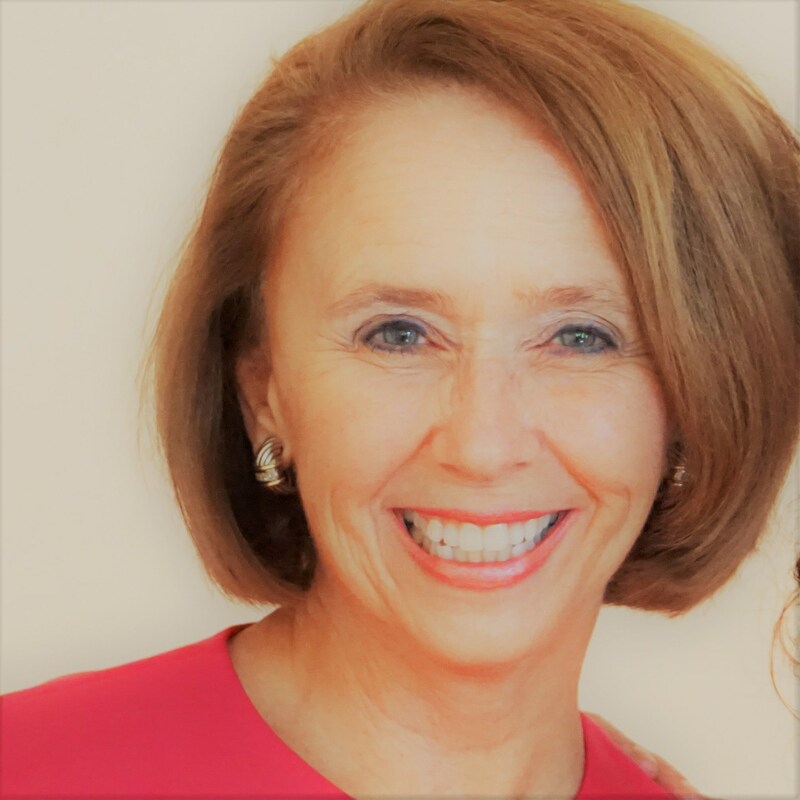 In the summer 2016, Tammy attended the American Montessori Society’s Diversity Conference where she learned from Derrick Gay’s presentation, “The Double-Edged Sword of Diversity: Reframing Community-Life Initiatives in Montessori Schools.” Learn more from his TedX Video. Cynthia has recently completed a Racial Equity Workshop with local activists, Organizing Against Racism. OAR teaches participants how to deconstruct historical, cultural and institutional racism and build something new and revolutionary in its place. As they offer workshops throughout the Triangle, Cynthia enthusiastically recommends this workshop for any and all people interested in dismantling racism. Prior to this, Cynthia has also regularly participated in Ruth King’s Mindful of Race workshops. Learn more at ruthking.net. In March, five of our staff members attended the Teaching Tolerance workshop on social justice teaching and facilitating critical conversations. Our teaching staff just completed the American Montessori Society webinar workshop on Anti Bias Education with Tiffany Jewel. 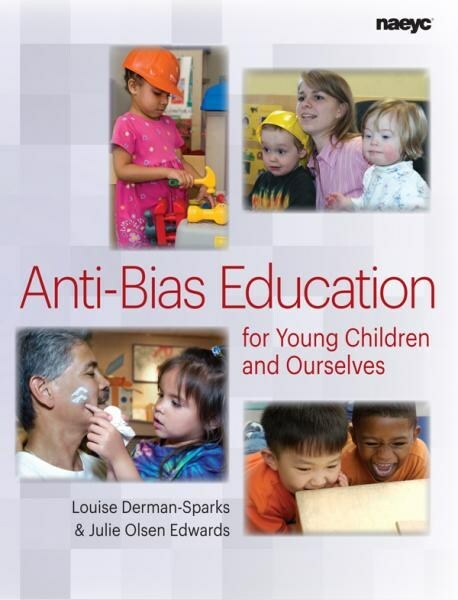 The Program/Cultural Diversity Committee spent two years studying Anti-Bias Education and used their study to develop culturally inclusive guidelines for holidays in the classroom and will lead a school-wide professional development series on the text in 2017-18. Learn more about this book here. This Parent Education event featured MSD parents who led sessions on Talking to Children About Race and Immigration, Advocating for Social Justice, Diversity in Children's Literature, and Stress, Worry, Fear, Anxiety---What's Normal? This event was organized and facilitated by the Diversity and Inclusion Committee. This three-part Parent Education series featured Dr. Leslie Marshall who led our discussion of Talking to Your Children About Race, Ethnicity, and Culture. During these interactive seminars over the course of the year, parents learned specific strategies for having courageous conversations with our children and the value of equipping them with language to navigate these complex issues. Why Montessori School of Durham? In 2015, nearly twice as many children's' books were written about talking animals or ordinarily inanimate objects than about people of color. 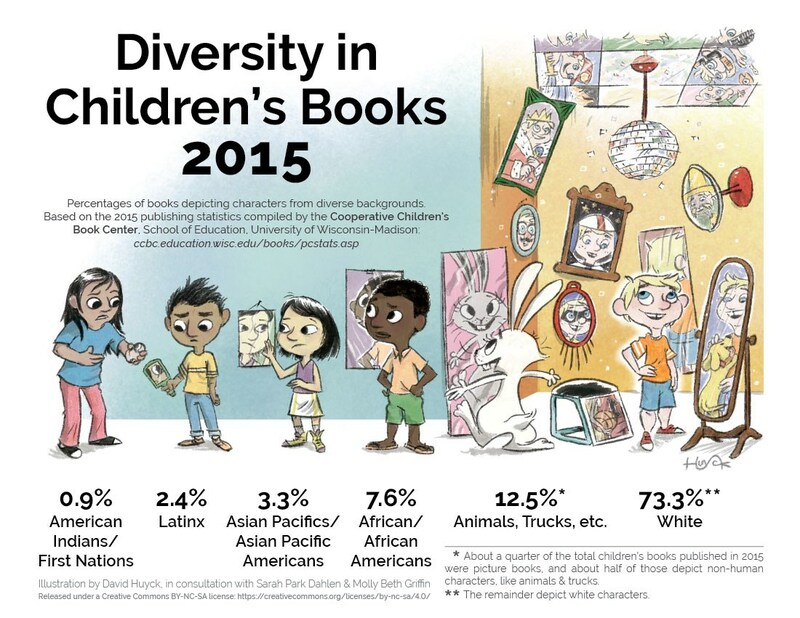 Of the children's books centering on diverse populations, only 6% of those were actually written by the people being represented.